The Boston Red Sox don't have a closer with spring training about to begin, but the architect of the team's roster still feels pretty good about where things stand. Sox president of baseball operations Dave Dombrowski didn't add any marquee free agents to his roster over the winter, and he has yet to find a replacement for star closer Craig Kimbrel, who remains unsigned on the free agent market. However, Dombrowski is content with the group that will open the 2019 season. "We are happy with where our roster is," Dombrowski said Monday on NESN's "Red Sox From Fort Myers" show. "We're in a position where, basically, positonal player-wise we have the same club back. Starting pitching-wise we really have everybody back. Bullpen, of course, is the one area which will get a lot of discussion and I'm sure will be focused on by people. But we like a lot of our arms and a lot of our people out there. But basically the club is back -- we know we should have a good club unless something happens where you get decimated by injury but you hope that never takes place. We have the foundation of having a good club, and I think they'll be prepared to come back and battle and see if we can try to repeat." Plenty of star players are still available in free agency, including Manny Machado, Bryce Harper, Dallas Keuchel and Kimbrel. The chances of the Red Sox signing any of those players are pretty small, however. 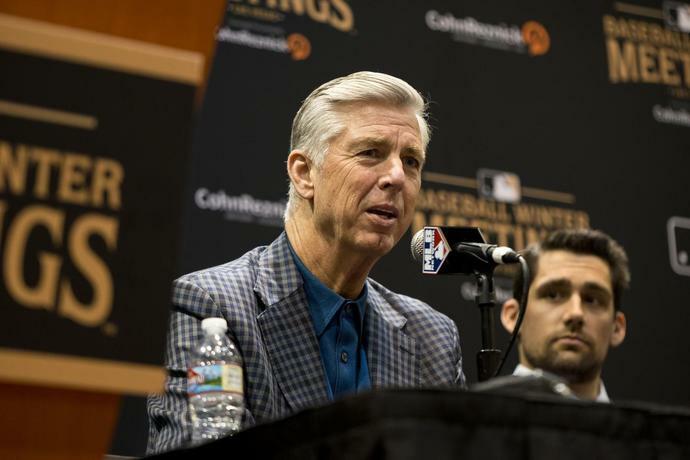 "I would say we're exploring, but not big-name free agents," Dombrowski said. "They're more apt to be a big-league invite on a minor-league contract to try to come in and compete. Of course, we'll scout during spring training. That'll be one of our focuses, our bullpen people with other organizations. But the reality is every club has an area you're probably going to address, that's the one area with ours that sticks out. But we like our people in camp, and we think they can do the job for us." Matt Barnes, Ryan Brasier, Tyler Thornburg and perhaps Steven Wright are among the best in-house options to be Boston's next closer. The job definitely is open entering spring training, and it could be that way into the regular season as Red Sox manager Alex Cora gets a feel for who does a good job handling the pressure of the ninth inning.